I think you’re right there. Although they more than happily tuck into pig cheeks. Ah well, you can’t win them all. But I’ll keep trying! You’re doing very well if you got them to try pig cheeks! 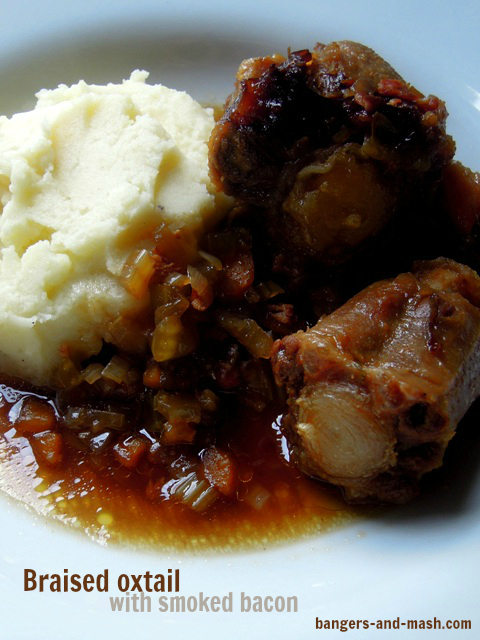 I have to say I’ve never cooked with oxtail and also pig cheeks are another thing I’ve been wanting to try for ages, too. Loving these earthy and comforting dishes of yours – I could lap that plate up all up in one go! Oh gawd, my tummy just did a leap! I would love a big bowl full of that tonight, with lots of mash to soak it all up. Slurp! Thanks Janie – it’s definitely a slurp kind of dish! 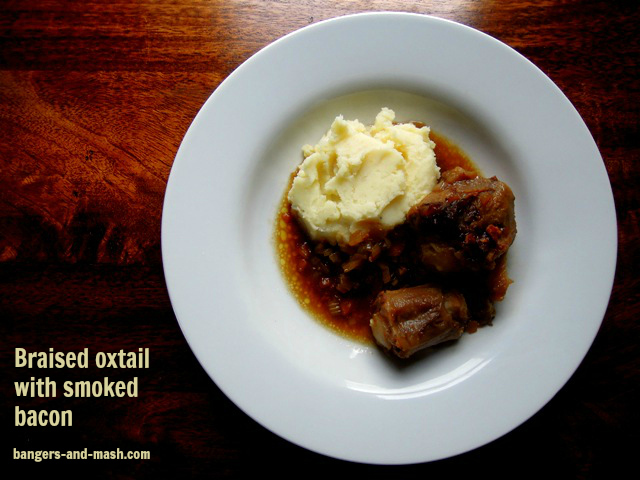 I had to giggle to myself – I first had oxtail when I was young. Having always been willing to try anything that was put in front of me I took one bite, declared it to be “too tailey” and wouldn’t touch it! I haven’t eaten it since but more from not really thinking about it rather than any tail issues. They’ll come round to it, especially if they’ll eat pigs cheeks! I effing love ox tail and smoked bacon just makes it a double winner. Nice work!